A massive talent shortage is posing a great challenge for manufacturers as they seek to hire workers with the experience and technical knowledge needed to fill open positions in their facilities. But now, a lack of soft skills, or interpersonal skills, among candidates is making it even more difficult to find the kind of worker that will help their companies succeed in the long run. Supervisors are constantly in pursuit of finding the perfect recipe to motivate problem people. Whether it’s a stereotypical millennial or an old-timer who is stuck in their ways, the question is the same: How do I get someone – anyone – to follow and execute my direction? It’s one of the most important and difficult questions for leaders to answer. If manufacturers were to look back five or 10 years, most manufacturers would realize their companies have changed so tremendously, that they are unrecognizable compared to how they once were. These transformations in processes, products, staffing and innovations have altered how their businesses appear and operate. This begs the question, what will manufacturing look like in 2019? Here’s the good news: the unemployment level in the United States has reached a nearly 50-year low. The bad news is, there are now more job openings than there are skilled people to fill them. Nearly every manufacturer I speak with is feeling the impact of this nationwide talent shortage. Want to be a Workplace that Attracts—and Keeps—Staff? 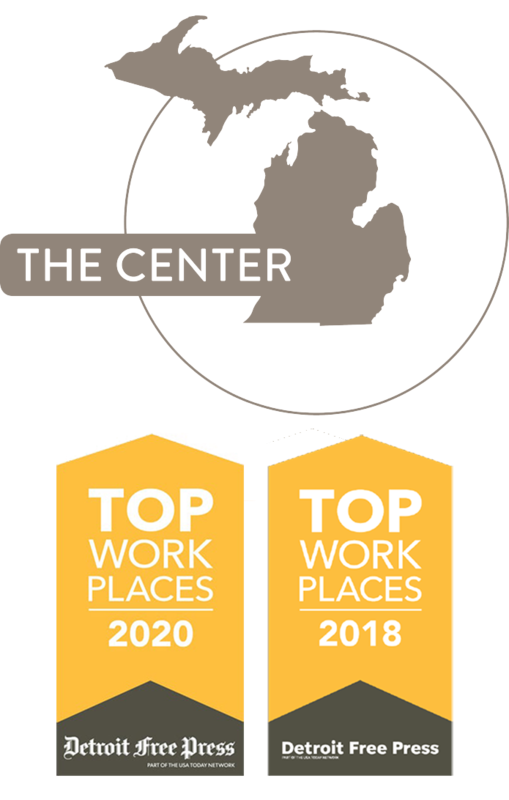 When our management team learned that the Michigan Manufacturing Technology Center made the list of the Detroit Free Press 2018 Top Workplaces, we were very proud. Then we were humbled. This award not only identified our company’s strengths, but it gave us areas for improvement, based on feedback directly from our staff about what they see as important. 5/4/2018 By: Chuck Werner Discussions of the Industry 4.0 technologies among small to medium enterprises usually take one of two paths. The first is a politely positive path where everyone ignores the impact these advancements will have on the human workforce. This is what is known as ignoring the “elephant in the room,” where there is an obvious problem at hand, but no one wants to address it. The other is usually approached more fearfully, as if we were crawling into a cage with a seething Silverback. 7/8/2016 For years, the retirement of the baby boom generation has been a large topic of discussion and a looming economic threat. Now, that dreaded time is upon us. Baby Boomers, those born between 1946 and 1964, are retiring in droves – to the tune of about 10,000 a day! Barry Bluestone, Dean of the School of Public Policy and Urban Affairs at Northeastern University, predicted labor shortages of more than 5 million over eight years in an article written in 2010. Even manufacturing, which lost millions of jobs over the last decade, is projected to need 100,000 jobs over the next 10 years, many of them due to retiring workers. 4/22/2016 Poor leadership when business is good can be hidden, but poor leadership in bad times is a recipe for disaster. No matter how qualified an individual is to hold a position, or how prominent that position may be, they are still human like everyone else and have flaws. Zenger and Folkman, in their book The Extraordinary Leader, observed that people challenged to improve their leadership effectiveness found that focusing on weaknesses is often the best approach to improvement. Weaknesses have a dramatic negative impact on perceptions of overall leadership effectiveness.